Best wishes to all of our children, parents and community friends. The holiday spirit is a spirit of giving and forgiving. We hope you enjoy your time with those you care for, doing the things you love to do and that this brings happiness that you pass on to all you meet. A HUGE thank you to the fire service for once again bringing Santa to our school, laden with sacks of books for all the children throughout the school. What a joy to see the smiles on all the children’s faces as each received their gift and got their own special time to sit and chat with Santa. A lovely way to bring an end to our busy term. 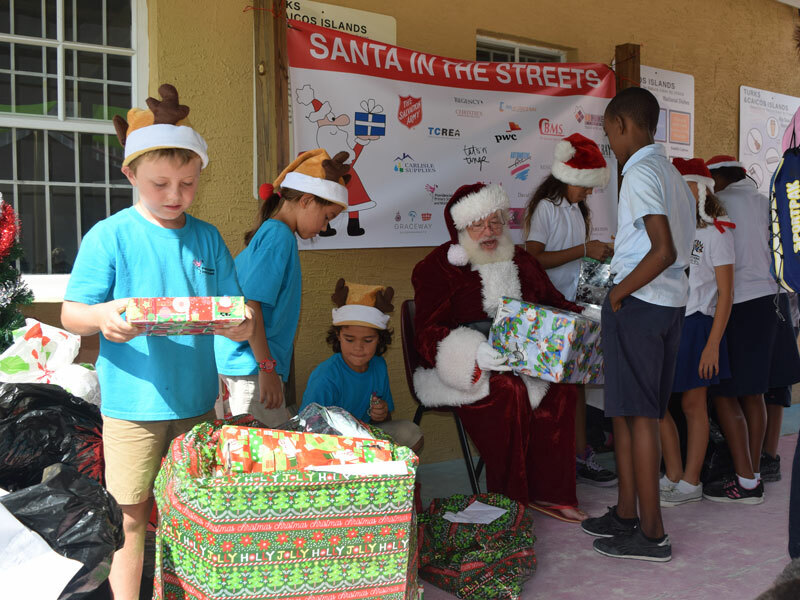 Santa in the Streets – Spreading the Happiness! 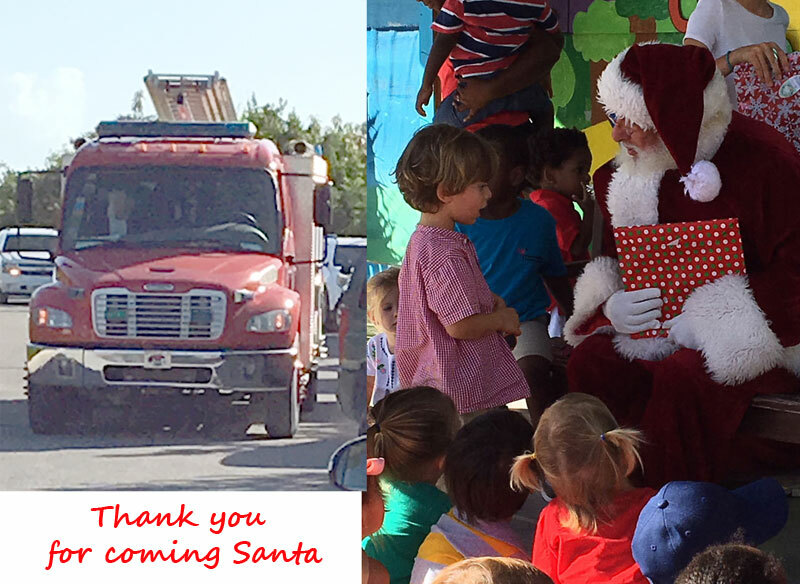 A HUGE thank you to ALL of you who participated and bought gifts in for the ‘Santa in the Streets’ event. It was so, so wonderful to see all of your generous donations taking over the stage area; Santa was getting surrounded by your kind and generous offerings. The School Council assisted Santa in the important task of distributing your gifts to all the children at the ‘Ashley Learning Centre’ and the ‘Oseta Jolly’ School during this final week of school. The School Council were AMAZING! They not only assisted Santa in giving out the gifts, they also helped with packing boxes, sorting gifts, organizing the books AND gave out food and drinks all the children. The parents – Kristen and Joan, and I were truly proud of how the School Council went ‘above and beyond’ their call of duty and responded to each task with care, kindness and hard work – what a fantastic attitude to have. Councillors, you were marvelous! 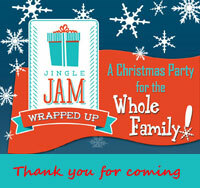 A great BIG THANK YOU to everyone that attended this years Jingle Jam at Provo Primary School! We had a record turn out and made a fabulous profit that all goes directly back into the Early Years to be spent at the end of the year on extra special goodies to enhance each Child’s fun and learning at school! We couldn’t do it each year with out the amazing help from all the mums and dads of the Early Years and beyond, whether you donated decorations, baked some Christmas treats, did a shift on the bar, simply attended and ate your fair share of mince pies or were part of the truly dedicated team of mums that put the whole event together this year – THANK YOU from myself and from all the kids who will benefit from your Christmas giving spirit! 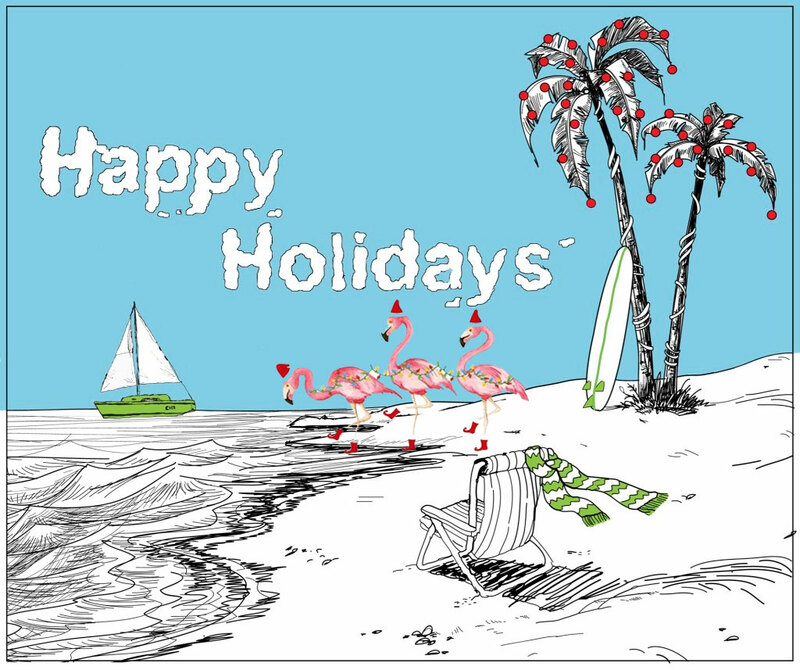 MERRY CHRISTMAS and HAPPY HOLIDAYS to everyone! Cant wait to see you all next year! News Flash: Santa is on his way to Provo Primary! 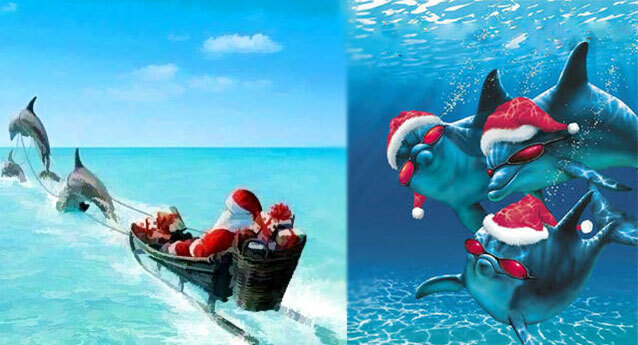 News from Santa…he is making his way down to Provo in his water sleigh, with JoJo and his friends helping him out! His flip-flops are polished and his beard shined. The candy canes are all wrapped and taste tested. His sleigh is full of books for all the children of Provo Primary. And he is excited to see everyone! Once at the dock, the local fire service will drive him to the school in their bright red fire truck. In this last and very busy week of term it has been nice to think back over this first part of Year 4 and how hard the children have worked. So much progress has been made and I’m excited to look forward to the New Year and a hopefully much more settled term – for all of us. 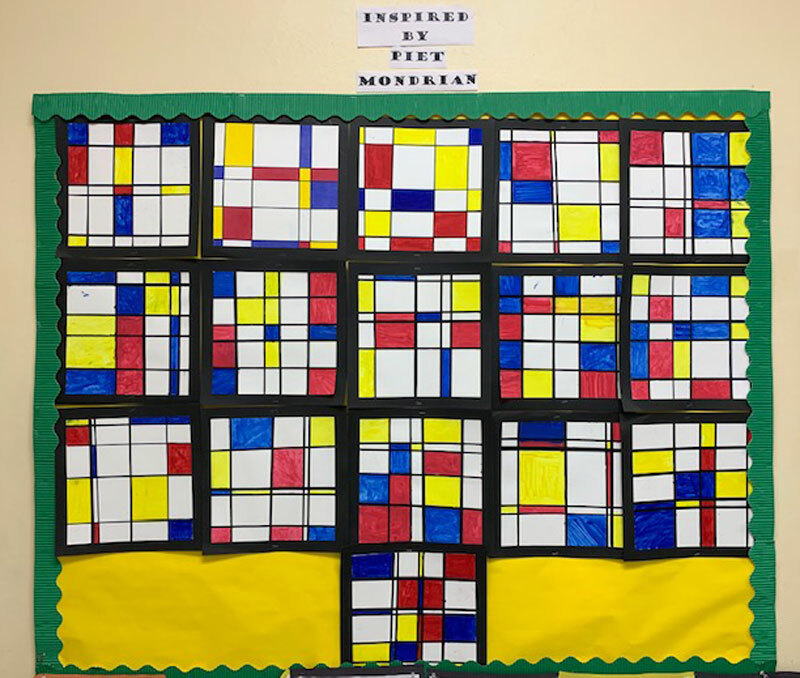 I wanted to show you a picture of the art work the class did, inspired by the Dutch artist, Piet Mondrian. The pictures have been up in our classroom, but some of you might not have had a chance to see them properly – they are very authentic looking, I’m sure you’ll agree! Learn more about Piet Mondrian here. Here are 10 crafty projects should your child be interested in doing more art over the holidays. 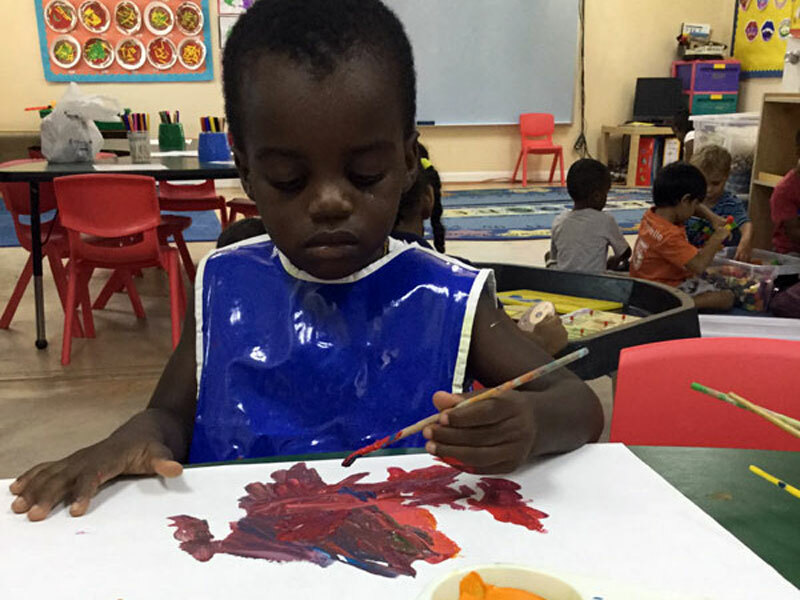 Painting, messy play and drawing can help children express emotion, explore colour, use their senses, investigate process and outcomes and create aesthetically pleasing works. As you can see from the children’s faces the paintbrush almost becomes an instrument of inner peace. Construction and building toys are fun and exciting to use and inspire children’s imagination. They also have significant cognitive and academic benefits for children of all ages. They provide a creative platform for children to learn shapes and colours, while they also help to develop visual spatial awareness. 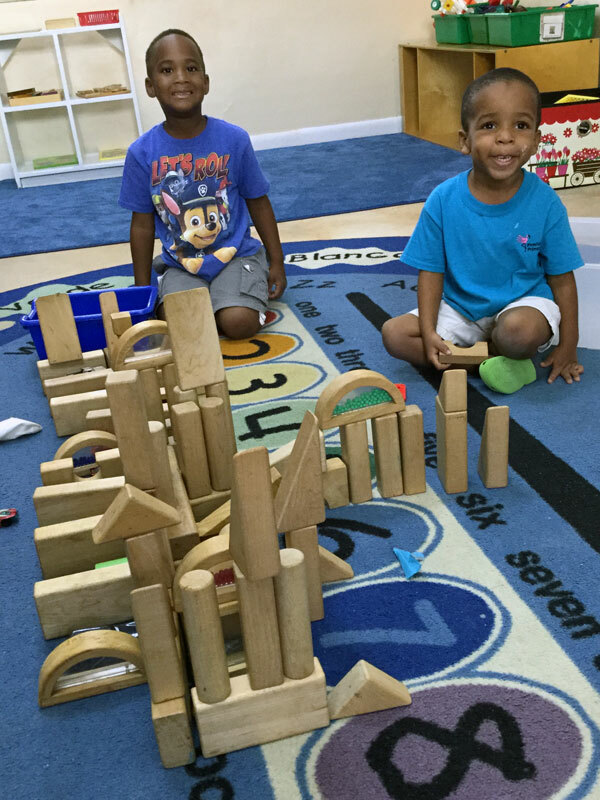 While playing and building, children learn to cooperate with others and problem solve. This type of toy improves fine motor manipulation and strength as well. Take a look at the fun we have had so far in JK with various construction toys and activities. Provo Middle School Celebrate the TCI Salt Industry in Art! 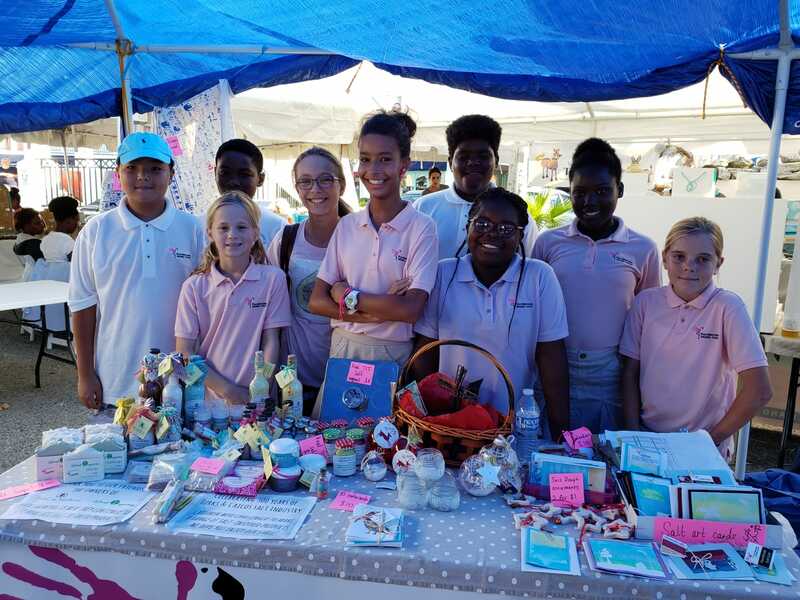 Year 7 students of Provo Middle School participated in the Provo Arts & Craft Expo, sharing their learning about the TCI Salt Industry in the process. In their Design & Technology lessons, students were challenged to create a range of products that were inspired by the TCI’s salt raker heritage. Students arrived at the Arts & Craft Expo ready to sell a wide range of items in order to raise funds for our end of year field trip to upstate New York. We had everything! From cards and calendars, to salt shakers and Christmas ornaments – Year 7 produced real diversity in their ideas and designs. Students worked their stall throughout the weekend, introducing themselves to customers and explaining our learning journey this term. All products were well received and many happy customers walked away from our stall with handfuls of salt-inspired items. We were especially pleased to be selling products sent to us by Ms Cynthia of Salt Cay Salt Works, with whom we visited on our field trip to Salt Cay in October. We also sold specially-made soaps that were produced by Ms Arlene of Island Organics. We loved seeing how these two businesses continue to use natural TCI salt in their products. After a very successful weekend selling, children will now evaluate their products and discover whether they were able to make a profit from each item they designed. Judging by the reaction of one customer, who claimed “this stall is the most fun at the whole fair!”, children will have some very positive evaluations to write! None of us can wait for our end-of-year field trip next June – we are certainly one step closer after this weekend! 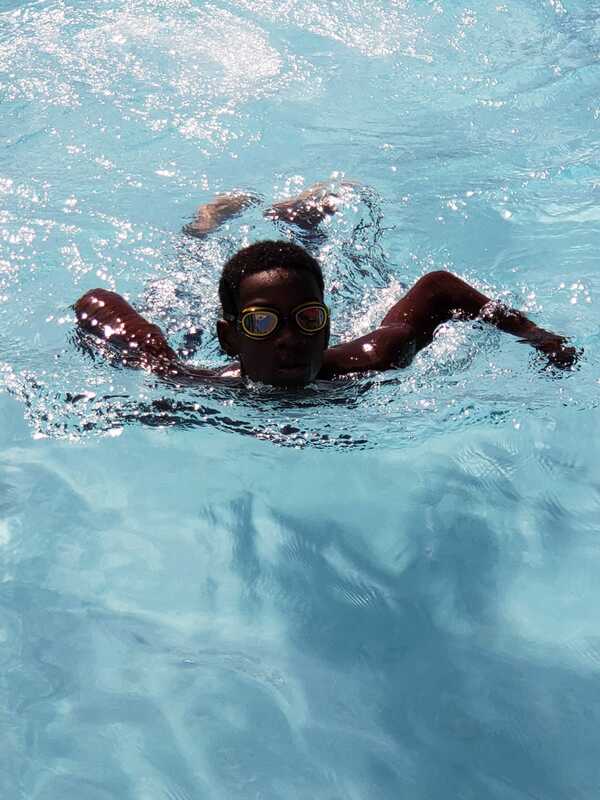 Students from Provo Primary & Middle Schools participated with great skill, perseverance and stamina this week – with some taking part in a developmental swim meet for the first time. Hosted by the International School of the TCI, the meet gave a total of 20 children the opportunity to compete. Children participated in two-length races in freestyle, breaststroke, backstroke and butterfly. All students set good times that can be used to track their own development in the future. A number of children found themselves paired in tight contests throughout the morning; competing in extremely close races against other students in the pool. It was a pleasure to see our children facing a new challenge with such determination and a positive attitude! The event finished with two 4×2 length relays and a fun whole-team race at the end. Very well done to our eight Provo Primary & Middle School swimmers! We look forward to the next opportunity to compete in the pool. Our Early years classes from Toddlers to Kindergarten will be entertaining us with festive songs, dances and a show. Our Toddlers, Preschool and JK will set the festive scene decorating the Christmas tree and hanging up stockings for Santa. 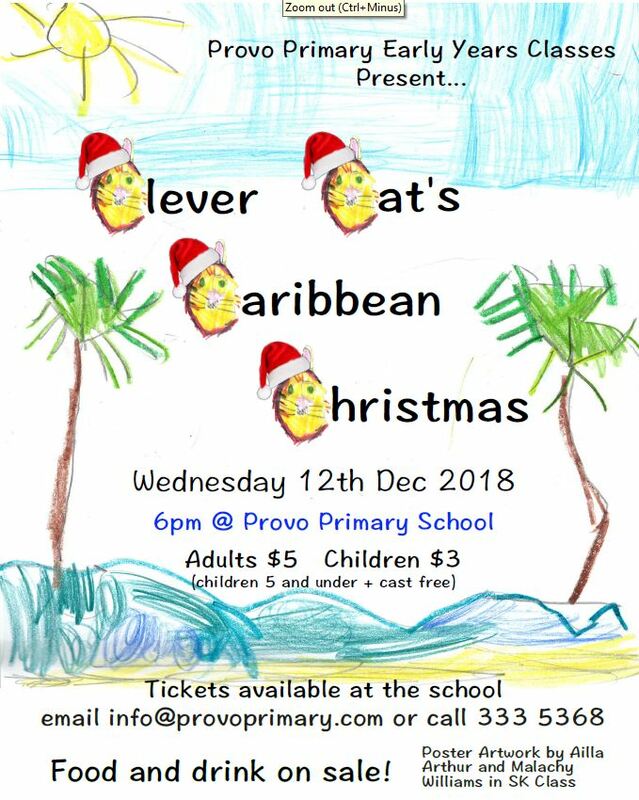 Then our Kindergartners will perform a short play called Clever Cat’s Caribbean Christmas. It’s a show not to be missed! Food and drink on sale. Buy your tickets in the school office, email info@provoprimary.com or call 333 5638 after 3pm Tuesday 4th Dec.
Our new piano lessons have been a big hit with our children this term. We are also excited to welcome children and adults from outside of school who are making good use of our new piano teacher’s expertise and experience! 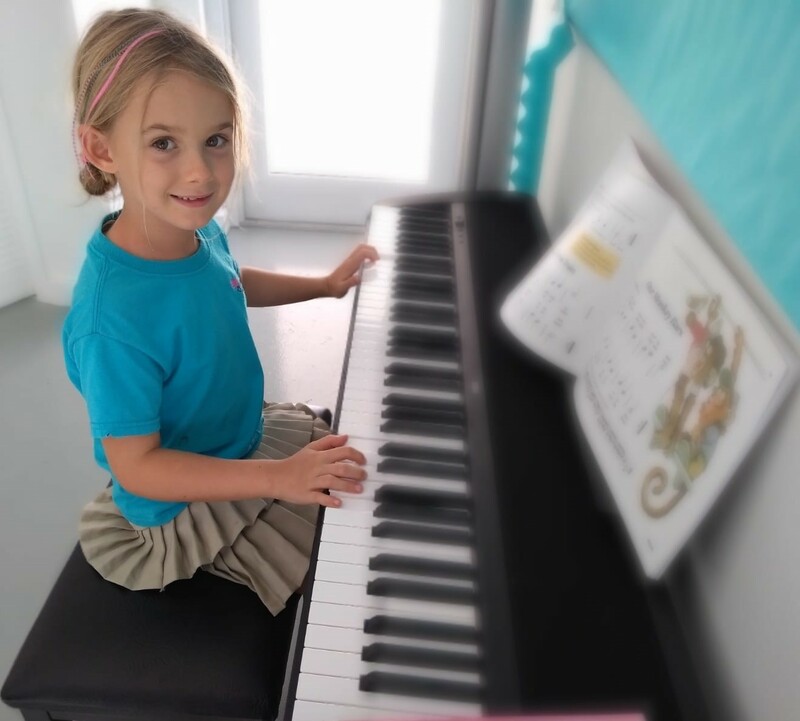 Here are some pictures and videos of some our beginner students, playing during their lessons. 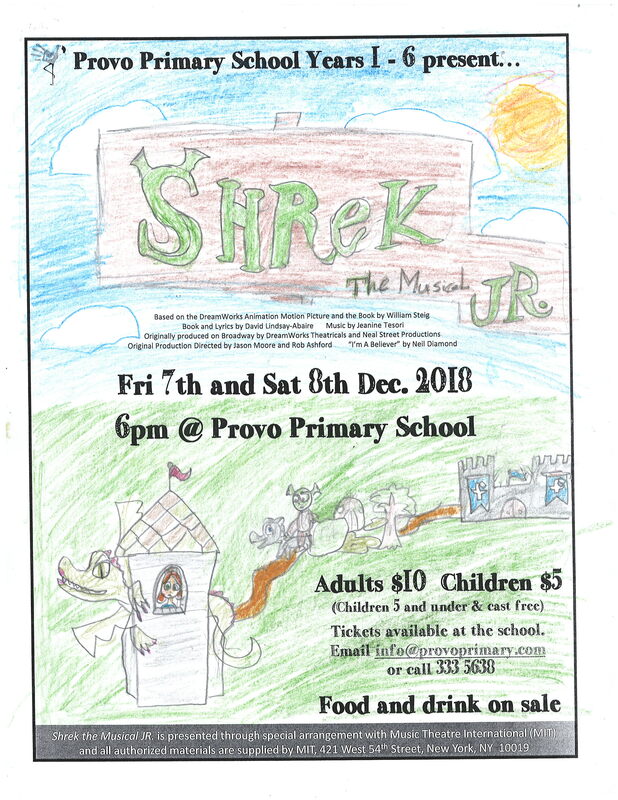 Book your seats for Shrek – The Musical JR! Beauty is in the eye of the ogre in Shrek – The Musical JR., based on the Oscar-winning DreamWorks Animation film and fantastic Broadway musical. It’s a ‘big bright beautiful world’ as everyone’s favourite ogre, Shrek, leads a cast of fairy tale misfits on an adventure to rescue a princess and find true acceptance. 6pm @ Provo Primary School. I was excited to see the #mygrandturk video challenge that has been advertised locally. A $1000 grand prize is being offered for the video that celebrates Grand Turk and gains the most YouTube votes. 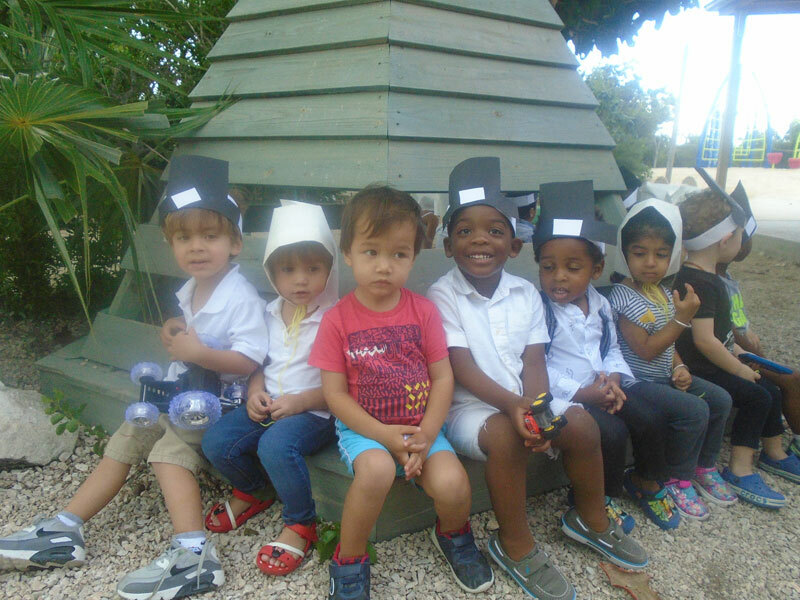 I thought that our school had a ready-made celebration of Grand Turk and Salt Cay after our field trip in October. So I entered Provo Middle School right away! We have a great head-start on everyone else as ours is the first video submitted. Thank you for our support – the $1000 grand prize could be put to great use to enhance our new school! 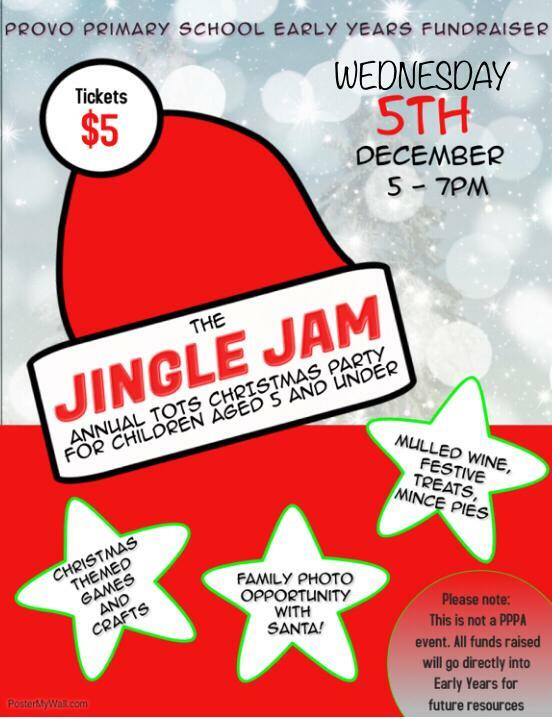 Our Provo Primary Early Years families are hosting their annual Christmas Jingle Jam Disco Party for children 5 years and under and their families and friends. Wednesday 5th December between 5 and 7 pm @ Provo Primary School. A wonderful evening for little ones with festive music and dancing, Christmas themed games and crafts, family photo opportunities with Santa. Mulled wine, mince pies and other festive treats on sale! All community families are welcome come and join the fun! Tickets $5 per person (under 1 year olds free!). All funds raised go towards our Early Years Programme. The children had lovely week during the Thanksgiving holiday period. They listened to stories of the Pilgrims and how they travelled to a new world. In best way they could, the children described what they were thankful for. The children were all excited to feel, smell, and taste some of the food the Pilgrims ate. The children made the hats that the pilgrims wore. They wore black and white clothes. They children gathered around the table and enjoyed a feast of vegetables. The majority of the children enjoyed the corn as a favourite vegetable. After all the activities, the children were able to colour the fruits and vegetables the realistic colours after exploring the real ones.